When it comes to remodelling your kitchen, the first thing comes in the mind is, colour. What kind of colour, do you want to see in your kitchen countertops, cabinet and backsplash? You may be thinking to choose a colour that displays your own decorating style like stay for long last, low maintenance and inspires other with its appearance. Here is a list of some top renowned kitchen cabinet colour trend that may help you to select the one which meets with your aesthetic standards. Almost half of the home-owners prefer to install white in a kitchen as it blends with almost all decor styles. Most of the time, the smaller kitchens are add the white colour for creating a spaciousness touch. Due to its natural beauty, white is also taken as the first choice of people. A large percentage of people give preference to natural wood look to their kitchen. No matter, you have vintage, country or plain cosy style, a natural wood look will definitely give a curb appeal to your kitchen. Another reason for natural wood it feels you a traditional lifestyle of the people. Dark brown chocolaty colour is a popular choice that matches the high-end look with darker kitchen countertops and stainless steel appliances. People who want to give a warmth look to their kitchen they choose dark brown kitchen colour. The lighter colour easily blends with almost any darker shades to provide a perfect eye-catchy look to your home. This is mostly found with contemporary styling and matching with countertops or other appliances. Home-owners who want to step out of the box opt for the grey as a décor. A perfect match of light and dark shade is cherry colour gives your kitchen cabinet a rich and versatile tone. A number of people who have large space in their kitchen, choose cherry colour designs. 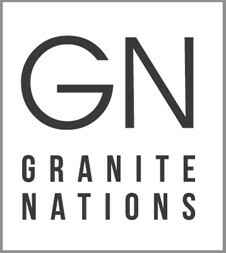 When you are going to select a variety of kitchen cabinet colours, these recommendations will guarantee work for you.In order to install your choice kitchen cabinet, backsplash and countertop, you can consult with Granite Nations.